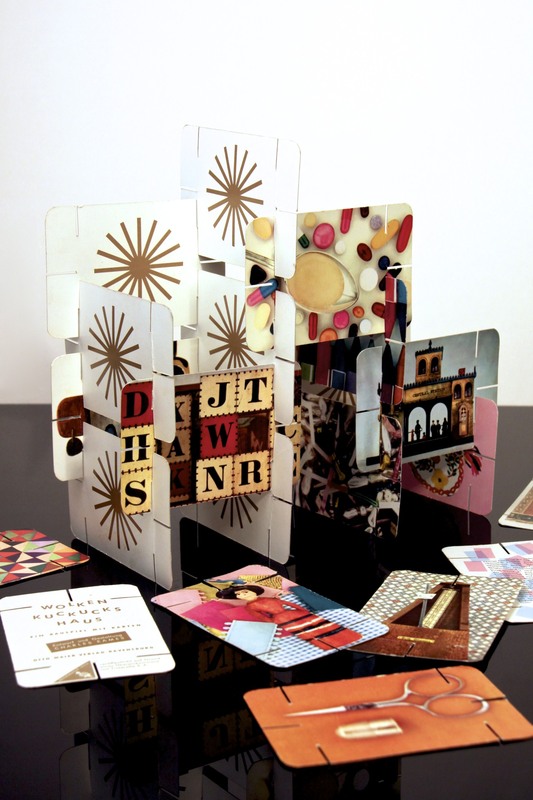 The Eames Office produced 5 different sets of the House of Cards. The small house of cards is the original, made in 1952.The images are of what Eameses called “good stuff “, chosen to celebrate “familiar and nostalgic objects from the animal, vegetable, and mineral kingdoms.” The six slots on each card enable the player to interlock the cards so as to build structures of myriad shapes and sizes. There was also a Giant House of Cards (1953), a Computer House of Cards (1970) and Newton House of Cards for the 1974 Nobel Laureates for IBM. a beautiful design classic and game all in one!